Sheriff’s deputies were on the run after a criminal in a very unexpected location in Central Florida on Wednesday, July 5, 2017: The cow pastures of rural Marion County. The Palm Beach Post reported that the man, driving a stolen truck, led officers on a miles-long chase through numerous fields before finally being apprehended. Deputies shared video of the incident on Facebook, drawing massive attention as viewers enjoyed watching clips of cows stepping out of the way of vehicles in high-speed pursuit. The man faces multiple counts, including larceny for the stolen truck. However, due to the circumstances of the chase, he’ll also face charges of fleeing and eluding in Florida. Flee the scene in an attempt to elude the officer after you’ve stopped your vehicle. 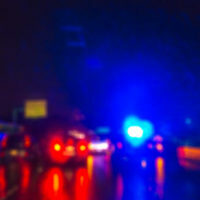 You were driving recklessly or at high speed, as the officer had activated sirens and lights, AND, you caused serious bodily injury or death to another person. Lights and Sirens, High Speed or Reckless, PLUS death or serious bodily injury: Up to 30 years in prison or on probation. There was certainly a comedic element in the matter of the man being chased throughout the cow pastures of Florida, but the charges of fleeing and eluding police are no joke. Authorities take these crimes very seriously, because they present a danger to law enforcement and the public in general. You could be facing harsh penalties if convicted, so it’s important to have an experienced criminal defense attorney on your side. Fort Lauderdale lawyer Kevin J. Kulik has represented many clients in fleeing and eluding cases, and many other types of crimes. For more information on our legal services, please contact our office today for a confidential consultation.